On July 25th, 2010 at 6pm, Hope of Christ celebrated its particularization as a congregation in the Presbyterian Church of America with the James River Presbytery. Rev. 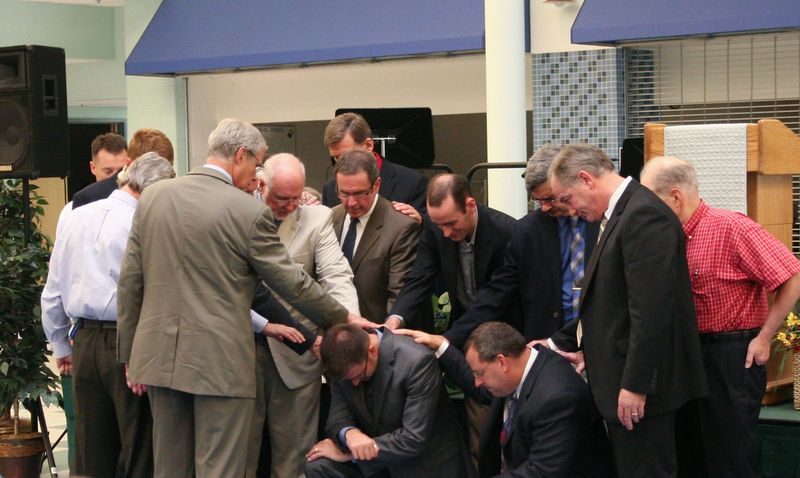 Leonard Bailey was installed as the Pastor while Don Davis, Dennis Gagnon, Rick Gensimore, Pete Griffin, and Rich Leino were ordained and installed as Ruling Elders. We are thankful for the blessings that the Lord has showered upon our congregation in a short time and look forward to this commencement of our congregation to go out to the world with the message of Christ and Him crucified to redeem men to Himself.